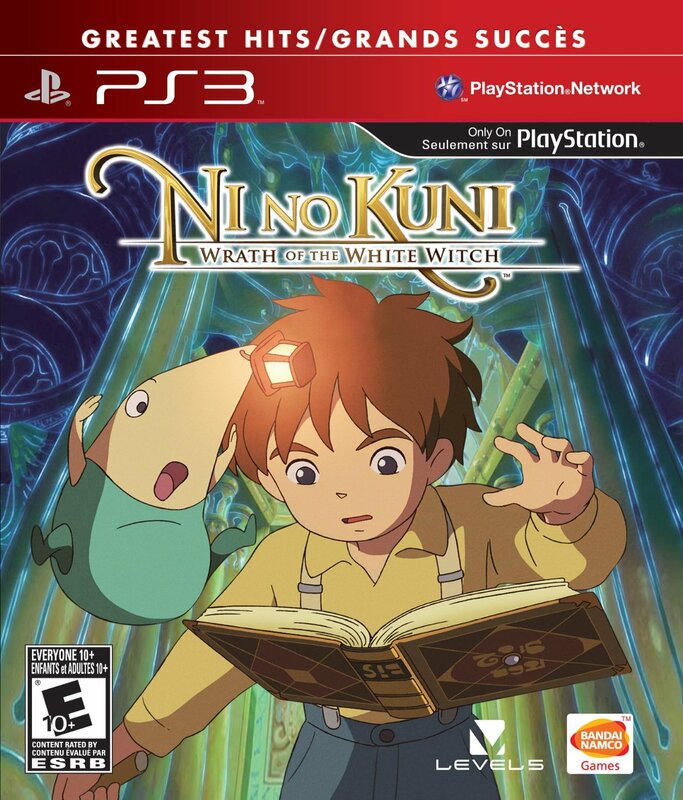 I had seen a lot of forum posts raving about “Ni no Kuni: Wrath of the White Witch“, as well as its placement on some top ten lists. So I decided to pick it up when it hit the $20, “PS3 Greatest Hits”, price point. The game is a Japanese-style RPG about a young boy trying to save his mother. One of the mechanics involves restoring people’s “hearts” with one of several emotions, which include enthusiasm and courage (thus far). It is rated “Everyone 10+”, and my intention was to play it with my son, Chris, who is now 7, as way to help him with his reading skills over the holiday season. He absolutely loves the game. One of his favorite aspects is the soundtrack, which is performed by the Tokyo Philharmonic Orchestra. He explores the world by moving the character around the levels, and runs most of the basic monster fights. I will take over whenever he’s running especially low on health (until he becomes comfortable with how to deal with that situation), or hits one of the boss fights, which require more care in coordinating the actions of the various characters in the party. When the frequent, somewhat too long, text sections come up, we tag-team on the reading. I have him read all the words that are appropriate for his reading level (and slightly above), while I chime in on the harder ones. After we finish a line of dialog, I will read it back as it was intended before we move on to the next one. The other week, I purchased the 1000 Blank Flash Card Dispenser Box on Amazon. I have been creating cards for the common words that Chris should know, which we review before each play session. Even with just a few days’ practice, I’m seeing good improvement. I’m planning to buy a couple more boxes, as we are already 1/4 of the way through this box. The battle system is real time, with different recovery periods for the various actions. The player only directs a single character (or, through him, one of his familiars) at a time, but there can be multiple characters/familiars active at a time. At present, we have two controllers and their four familiars, but it looks like the game supports three controllers and up to nine familiars, as indicated by the remaining space in the user interface. The AI controls the non-player characters, but they can still be directed through the use of tactics the player chooses for them. Actions can be interrupted, allowing you to change your fighter or action at any time – but the battle only pauses when you switch fighters. It can be awkward, at times, to switch to the desired action in the heat of the battle, while moving the character on-screen at the same time – to grab a (health, mana, power-up) pickup, or to avoid getting whacked by a boss. My only other gripe with the game is that the text tries to reproduce the voice acting of the characters, which makes it rather hard to read at times, and less than optimal for teaching. The Drippy character, for instance, has a Scottish accent, and says things like, “Look at the pages he gave you for youer book, en’t it! ?”, while the cat-like creatures say, “purrfect” and “Your Meowjesty”.